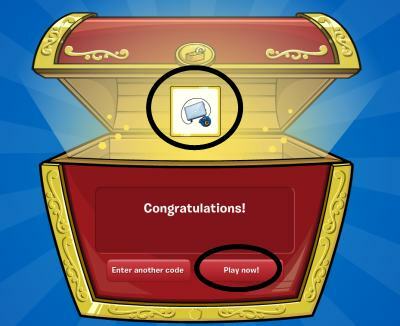 If you don't know already, Billybob, Screenhog, and Rocketsnail (Rsnail) started CP a while back except it wasn't called Club Penguin, but penguin chat 3. Back then, every penguin was blue, and there were only a few rooms, The town, the boiler room, and the coffee shop. (Please correct me on that if you can :)) The penguin band also played there too. They have made serveral different appearences at parties after that (Well since the parties are repeated, they come the same time each year), for example the Penguin Play Awards. They have been the style that we have been familiar with since 2006, but now the Penguin Band has changed. Instead of their colors, and cowboy hats, they are now more modern; They wear wigs, and clothing, they are into different music, and most importantly, they will be acting different too. I have mixed feelings about this, mostly because I thought (By their appearence) that they were an older band, but now I can see that they look more like teenagers, and they have different styles, and everyone likes different music. I think that their new styles will be good for everyone because like I said before everyone likes different music, but what I don't like is that Petey K's glasses look really really girly.... haha. Anyway leave me a comment telling me if you like/dislike the new clothing and why? Don't forget to rate this article!